The car videoscope is a good helper in the cleaning and maintenance of automotive engines. The diagnosis of valve carbon deposition has always been difficult in the automotive repair industry. Generally speaking, there are two diagnostic methods in the professional repair shop. That is to disassemble the engine and check whether there is carbon deposition. This is very intuitive, but time consuming and energy consuming, and no matter what parts are disassembled once or more, it will affect their performance more or less, and shorten their service life. Remove the spark plug or the nozzle and observe the degree of carbon deposition in the valve with an endoscope. The main feature is to observe the formation and combustion process of the mixture in the combustion chamber and the working state of the cylinder, valve and piston top under the working condition of the engine, and record the above image with the crankshaft turning angle through a high-speed camera. At the same time, it can be connected to the computer, and can be invoked, delayed, enlarged locally and interpreted by a corresponding image processing software at any time. This visualization technology is not only a right-hand assistant in vehicle design and development, but also a vehicle technology training and teaching tool. 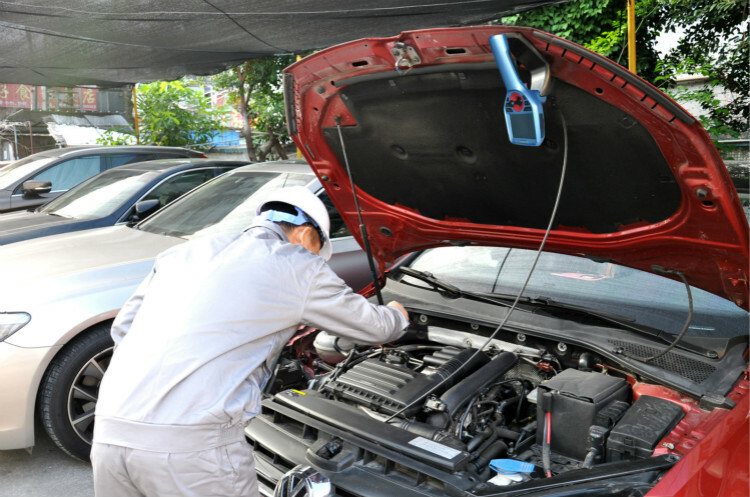 The automotive endoscope has been widely recognized by users in the auto repair industry. At the same time, its simple and flexible manipulation is a necessary detection and diagnosis tool in the auto repair industry.